The Battle against Seat Recliners: The Knee Defender! 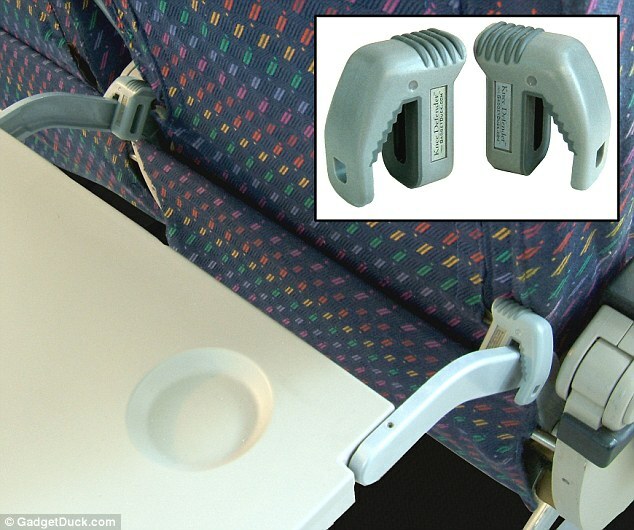 This week, a fight broke out between to customers on United Airlines flight from Newark to Denver because one passenger was using the Knee Defender, a $21.95 lock that attaches to a tray table and jams the reclining mechanism of the seat in front. The male passenger, seated in a middle seat of row 12, used the device to stop the woman in front of him reclining while he was on his laptop. A flight attendant asked him to remove the device and he refused. The woman then stood up, turned around and threw a cup of water at him. The plane diverted to Chicago where both passengers were forced to get off the plane. All major US carriers ban the device’s use as well as Qantas, the Australian carrier. Some low cost carriers do not allow seats to recline at all like Ryanair and WizzAir in Europe and Spirit Airlines in the US.